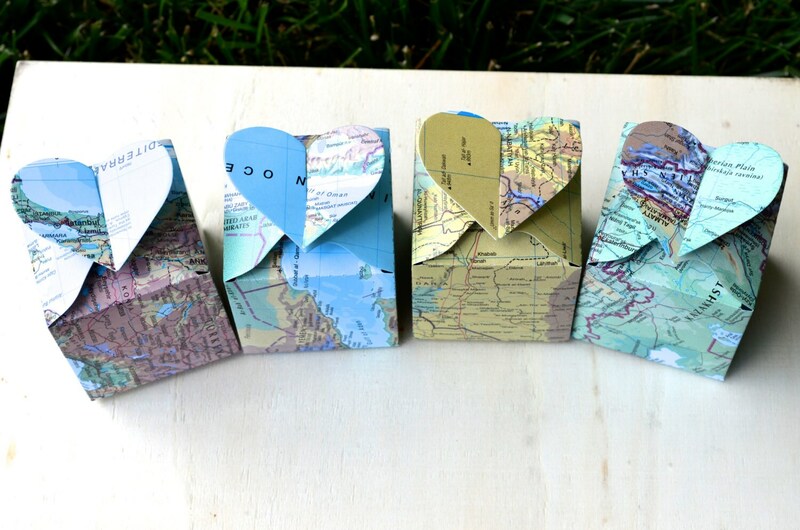 Heart Topped Favor and Confetti Boxes - In your choice of Vintage Map, Kraft Brown, Black, White, Red. Custom Colors Available. 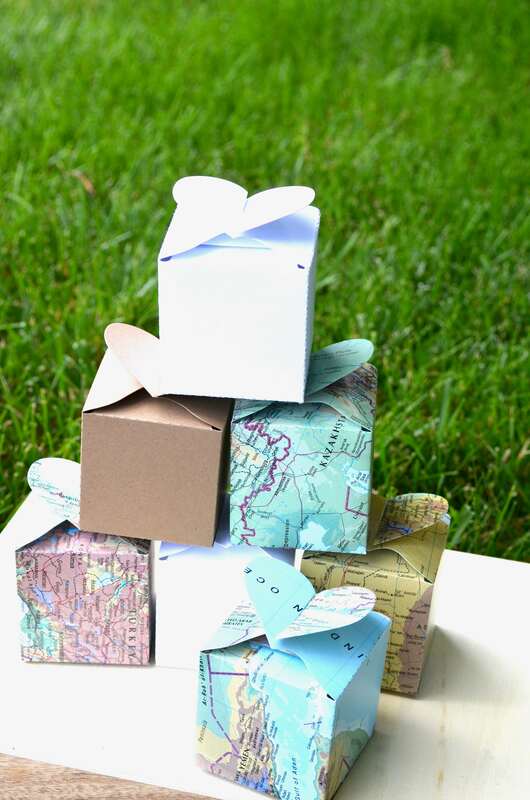 These romantic heart topped paper boxes are perfect for small favors for your guests or even confetti to toss at your event. Use the drop down menu to select the quantity that is just right for you! 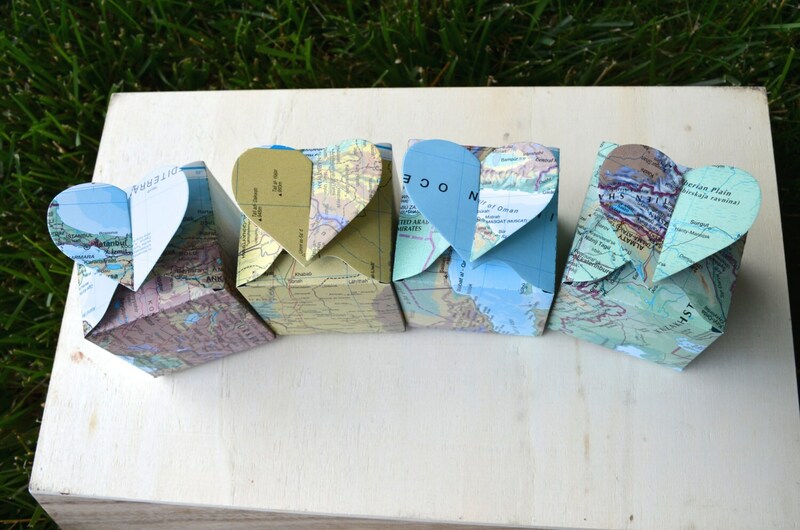 The vintage map boxes are constructed using VINTAGE MAP paper and are not as strong as a heavy card stock paper. If you are unsure if the vintage map paper will be strong enough for your use, PLEASE contact us before placing your order and we will help asses your plan. The other colors mentioned are heavy weight card stock and will be more durable. 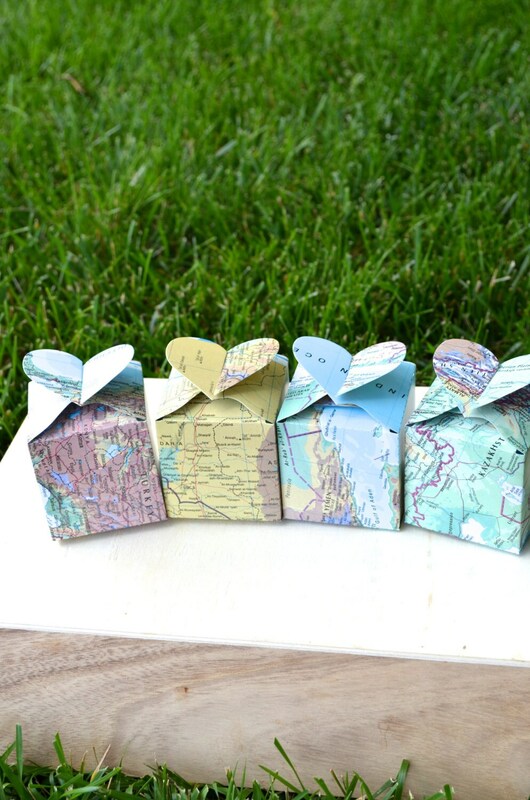 Each whimsical little box is handmade from vintage atlas pages and measures 2.5 inches (6 cm) square - large enough for a few truffles, some candy, or a small gift. The lid of these darling boxes is made by folding together the two sides of the heart on top. The pieces are PERFECT!!! The packaging for shipping was such a nice touch. Speedy delivery, fabulous products, and great customer service! I needed my items quickly and ThePathLessTraveled made it happen! Thank you! arrived promptly. as pictured. the paper is quite thin, so I wouldn't use it for anything that has any significant weight to it.